Dominicans in Ministry with Native Americans, Inc. 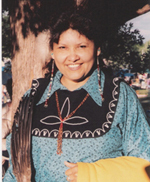 The mission of Las Casas is to seek justice in the lives of Native Americans. To be a hopeful presence walking with Native/Indigenous People. To affirm and promote Native/Indigenous People self-determination and their freedom to express their culture, language and religion. To provide Dominican men and women opportunities to collaborate in ministry with Native/Indigenous People. To promote awareness among Dominicans regarding justice issues currently affecting Native/Indigenous People. The focus of Las Casas is to grant funds in support of Dominicans in ministry with Native/Indigenous People.